The environmental field is young, competitive and evolving every year as new technologies and policies come into play. It is diverse, interdisciplinary, and encompasses many types of professions and activities. In the past, careers in conservation or the environment were limited to a handful of game rangers, foresters, scientists and public health officials. Today a greater, and still growing, range of careers is available. 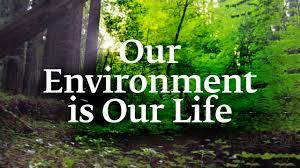 Examples include: developing new pollution control technologies, participating in environmental impact assessments, studying the habitat of endangered species, teaching adults and children, or providing administrative, artistic and public-relations support to all of the above. Perhaps the most exciting element about environmental careers is the people themselves. While environmental professionals come from all backgrounds and walks of life, most bring a love or passion for the environment to their work. Regardless of whether you are still at school, or fifteen years down the track in a particular career and wanting a change, the first step in exploring this rewarding field is to become a researcher: you will need to establish what career choices exist, the salary and opportunities for advancement they offer, possible study options and their cost, bursary opportunities, your own interests and skills, how you can develop them, the kind of work you would like to do...and more! Remember that this is a competitive field. Only you can provide the determination, persistence, and enthusiasm vital for success. d) job opportunities available to you once you qualify. A starting point in gaining insight into these areas is to read widely. Further going through informative publications which describe a variety of jobs, and the education and training they require. Magazines are invaluable as they deal with current environmental concerns, progress and activity, all of which help you to build a picture of this field. * Write up your curriculum vitae (CV), take a clear look at the strengths and weaknesses that it reflects and work at developing strengths and improving weaknesses. * Arrange holiday or weekend employment, either paid or voluntary - this allows you to develop a range of skills, to make contacts and to increase your confidence and self knowledge. * Develop contacts with people working in the fields of environment and conservation. * Become involved with environmental societies, publications, and educational groups. * Develop skills that may be of use in your career, e.g. photography, using a computer, writing, drawing and painting, teaching, bird-watching, plant identification. * Never stop reading, talking and questioning. * Delta Environmental Centre, the Umgeni Valley Project and Ben Lavin Nature Reserve offer holiday courses in "Careers in conservation." If you want to be a lawyer, go to law school; a doctor, go to medical school; an accountant, major in accounting; an environmental professional...well take your pick from any number of educational opportunities. Often the same job can be approached from several directions as educational preparation for the environmental professional is not as formalized as it is in other fields. Choosing a course of study will involve weighing up your own preferences with the requirements of the job market. Whatever you choose, remember that a qualification alone will not support you in the job market. Practical, career-related experience to complement your course work gives you the edge over other students, as well as helping you make decisions regarding your career path. It is vital that you broaden, develop and build upon your formal studies so that on graduating, you have the qualifications, skills and vision to enable you to take on your chosen work. The suggestions listed above give some ideas as to how to do this. A rare, but increasingly important profession is that of the resource economist. If we are to reconcile the economic forces that drive our society with the concept of sustainable resource use, an understanding of the relationship between the two is vital. An economic rationale for conservation is now seen to be as significant as aesthetic, ethical and scientific rationales. This rapidly developing field, is regarded by many as vital for improving the health of the planet. A range of options exists, including, running educational trails in the bush, developing educational resources, or managing an environmental education center. Growing demand for news and views on environmental issues is reflected in the abundance of newspaper articles, magazines and books dealing with global warming, endangered species, green consumerism, poverty and the environment, and population growth - to name but a few. Perhaps the most significant realization is that everyone can bring environmental concern into the professional decisions they make in their working lives.